The Washington Capitals won their fifth straight game in New Jersey, defeating the Devils 6-2 Saturday in a game that featured 18 penalties. 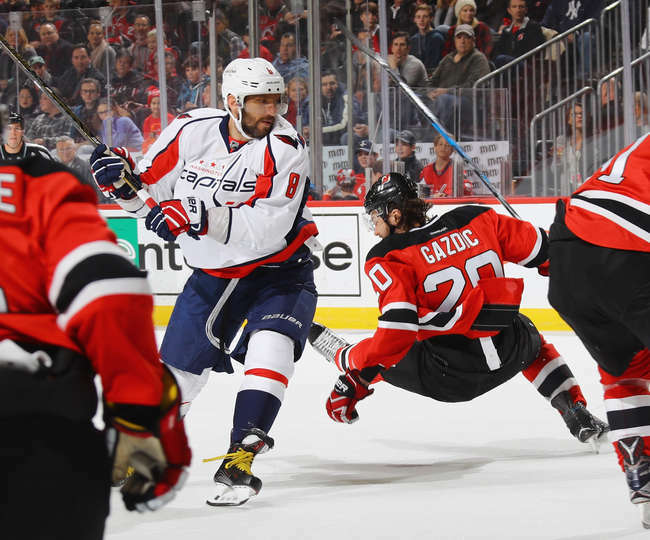 The Devils and Capitals faced each other for the second time in 42 hours Saturday. In their last meeting Thursday night, Devils goalie Keith Kinkaid saved 43 in a 2-1 shootout victory over the Capitals. Kinkaid started again Saturday. However, he found less success, saving 20 of 26 shots in the game. 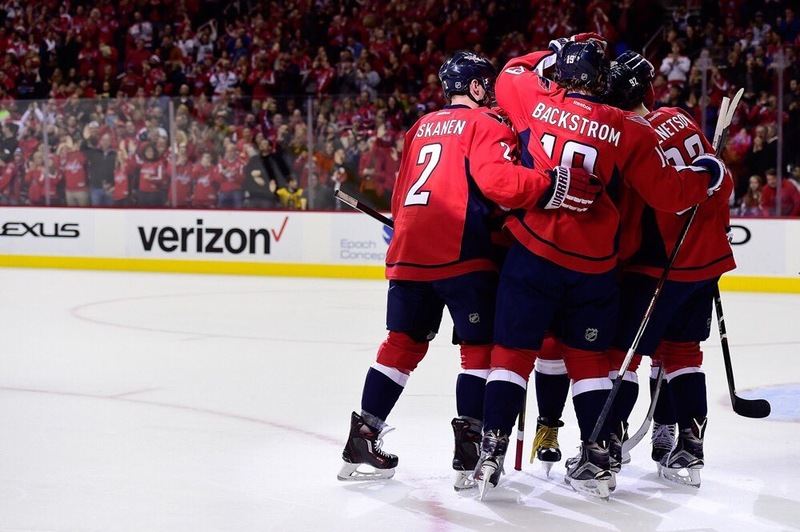 With Washington’s six goals, five Capitals had two points in the contest. In Thursday’s meeting, Washington tried to open up shooting lanes for clean shots on Kinkaid. 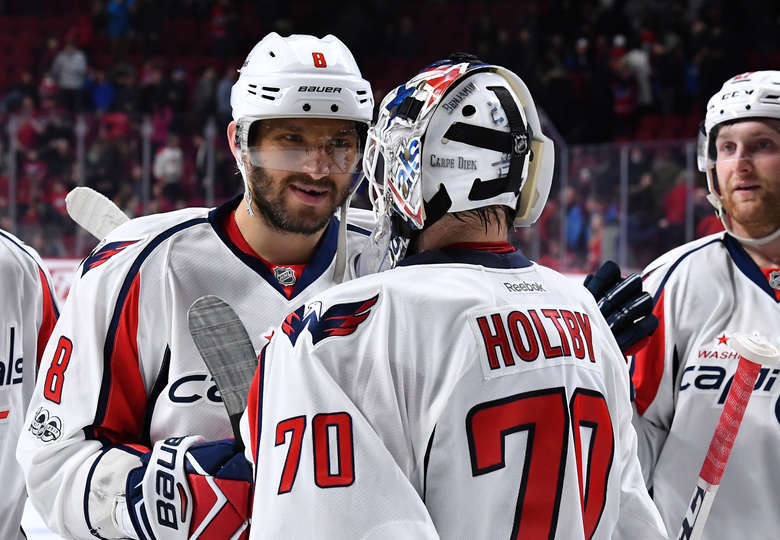 In Saturday’s matchup, the Capitals attempted to score off deflections by hoarding a player in front of the goalie. The latter tactic worked, as Washington scored all six of its goals off of deflections or rebounds. Capitals forwards Jay Beagle and Justin Williams scored on midair deflections. Williams’ two points on the afternoon were his eighth and ninth in his last 12 games. He has seven goals in that span. Forwards Brett Connolly and Marcus Johansson chipped in passes for scores from in front of the crease. Washington forwards T.J. Oshie and Alex Ovechkin knocked in rebounds for goals. Ovechkin’s second-period goal came 33 seconds after Oshie scored. Oshie’s two points on the day were his first in six games. Ovechkin has five points, including three goals, in his last four games. New Jersey also joined in on the deflection trend. Devils forward Beau Bennett deflected teammate Ben Lovejoy’s shot in for a third-period goal. New Jersey forward Kyle Palmieri scored the only clean goal of the game. He received the puck from a Washington giveaway in its defensive zone and flicked it in for a goal. With the 49 combined shots in the game, the deflections were necessary to score. Capitals goalie Philipp Grubauer battled the 23 shots dealt to him, saving 21 of them. With the two teams facing each other in back-to-back games, play got scrappy, and the officials took notice. The teams’ three fights and frequent shoving caused the referees to be quick with their whistles. At one point, the teams played three versus three for 1:04. The scrappiness increased after Capitals forward Tom Wilson checked Devils defenseman John Moore, causing Moore to immediately fall to the ground. Though the hit was legal, Moore laid motionless on the ice. His teammates helped load him onto a stretcher before an ambulance took him to the hospital. Two minutes later, Connolly and New Jersey forward Devante Smith-Pelly fought, resulting in matching roughing penalties. The Devils later repaid Wilson for his hit on Moore, as forward Luke Gazdic and Wilson fought. Both Wilson and Gazdic received five-minute fighting major penalties. The two squads capped off their aggression with a fight between Capitals forward Daniel Winnik and Devils forward PA Parenteau. Again, both players received fighting majors. Before Saturday, Washington had three fighting majors on the season. The Capitals had two such penalties on Saturday alone. Despite the penalties creating power play chances for New Jersey, the Devils did not score in any of their nine chances with the man advantage. Likewise, the Capitals did not score in any of their four power play opportunities. 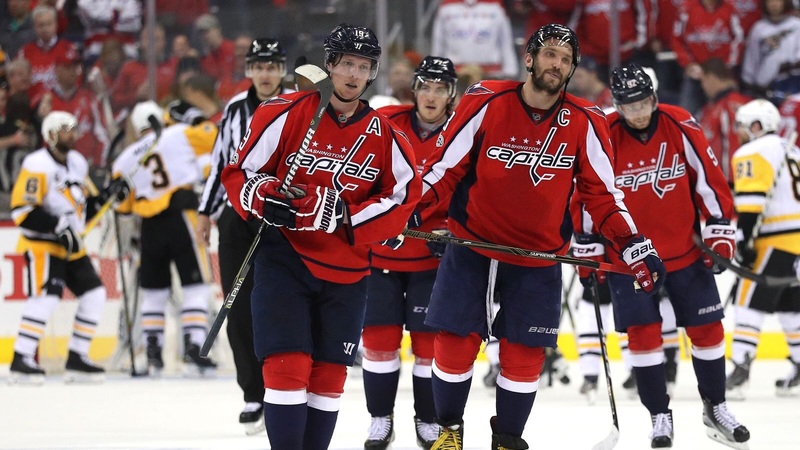 Washington remained in the Metropolitan Division’s fourth place while improving to 21-9-5. New Jersey maintained its seventh place spot in the division despite falling to 14-16-7. The Capitals will host the Ottawa Senators Sunday night. The Devils will host the Boston Bruins Monday night.